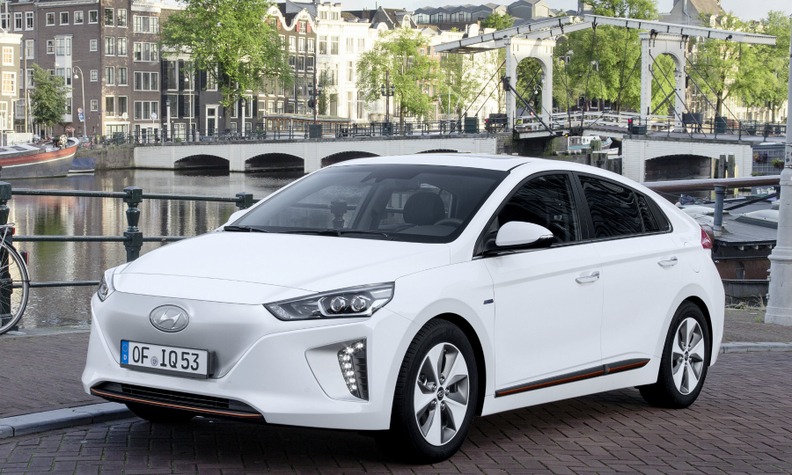 Hyundai sells an electric version of its Ioniq, shown, alongside hybrid variants. Future EVs will be based on a dedicated platform. YONGIN, South Korea -- Hyundai Motor is developing its first dedicated architecture for pure electric vehicles, preparing a major push into the growing segment by offering multiple models with longer driving ranges. The subcompact or compact EVs would have a range of more than 300 km (186 miles) per charge, and would be "more competitive" than rival offerings, said Lee Ki-sang, a senior vice president at Hyundai Motor. Lee said he expected EVs to account for about 10 percent of total global vehicle sales by 2025, up from about 1 percent now. The platform will not be completed at least until next year so Hyundai and Kia plan to roll out electric SUVs based on existing platforms, Lee said. He was speaking in an interview on the eve of an auto show that began in Seoul on Thursday.